First lady Melania Trump told ABC News in an exclusive interview that she has told her husband there have been people in his administration she didn't trust who worked for him. Asked by ABC News Chief National Affairs Correspondent Tom Llamas whether there are still people in the president's administration "he can't trust," the first lady said yes. "It's harder to govern," the first lady said in a clip set to air Thursday on "Good Morning America." "You always need to watch your back." The first lady's comments come on the heels of a recent op-ed in The New York Times by an anonymous senior Trump administration official who claimed that many senior officials are trying to "frustrate parts of [Trump's] agenda." Trump blasted the essay on Twitter as "gutless" before sending out a one-word tweet: "TREASON?" 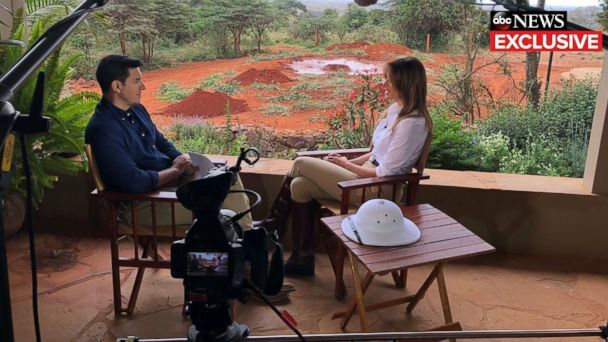 ABC News' wide-ranging interview with the first lady took place in Africa, where she traveled to promote her "Be Best" campaign, which raises awareness about online bullying. The first lady explained how her experience being bullied led in part to her "Be Best" initiative. "I could say that I'm the most bullied person in the world," Melania Trump said. Pressed by Llamas on that assertion, she responded, "One of them -- if you really see what people are saying about me." Tune in this Friday, Oct. 12, at 10 p.m. for more of the ABC News special, "Being Melania -- The First Lady."